TRB’s new sustainable biocomposite CRFP door leaf for railway carriages. TRB Lightweight Structures Ltd says that it has recently gained DIN 6701 type certification. The approval covers bonding safety critical rail vehicle parts in applications where there is a risk of endangering passengers due to part failure in use. TRB is also International Railway Industry Standard (IRIS) approved. The DIN 6701 A1 rating, certified by TBBCert, has been achieved for the company’s facility in Huntingdon, UK, where it designs and manufactures lightweight metal and composite parts, as well as complete assembled interior units for passenger train interiors and other rolling stock. Attaining the top level (A1) approval reportedly enables TRB to bond any product required in a rail vehicle under any of the four DIN 6701 A1-3 and Z type classifications. 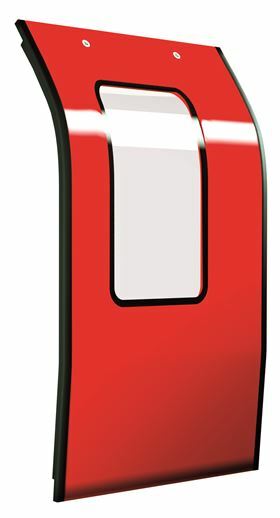 Safety critical products needing A1 approval that are manufactured and supplied by TRB include emergency detrainment door systems and passenger exit doors. This story is reprinted from material from TRB, with editorial changes made by Materials Today. The views expressed in this article do not necessarily represent those of Elsevier. TRB Lightweight Structures Ltd has reportedly developed a new biocomposite resin based carbon fiber reinforced (CFRP) sandwich panel door leaf.